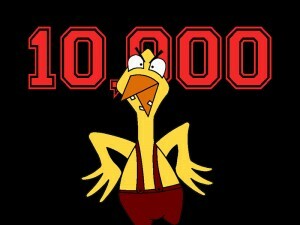 In the wee hours of this morning, Nov. 29, Raging Chicken Press achieved a milestone of sorts: 10,000 all-time views. We could not be more thankful for the generous support we have seen and the willingness of readers to pass the word, send links to articles to their family and friends, comment on articles, and subscribe. We hope you will be even more pleased with Raging Chicken Press in the upcoming months. As you may have already read, the December issue will feature a video interview with Noam Chomsky. We also intend on introducing more audio components to the site including interviews and commentary in the coming months. In January, we will welcome our first Raging Chicken Press intern, Drew Simonovich – what we hope to be the first of many to come. 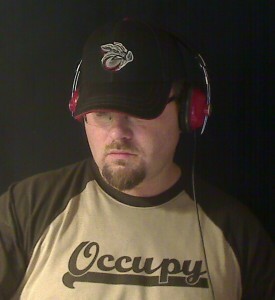 In addition to our monthly issues, Raging Chicken Press has also been able to donate to Dustin Slaughter’s David and Goliath Project in support of his coverage of the Occupy Movement. We have dropped off supplies to Occupy Allentown. We donated money to help fund the launch of the “Occupy Wall Street Journal” back in October. 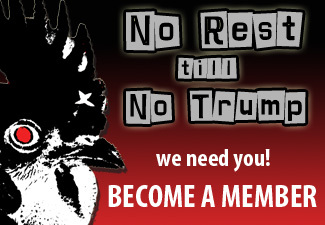 We have also deepened our connections to other activist/progressive projects such as the Rick Smith Show, Occupy Kutztown, and Lee Camp’s amazing “Moments of Clarity.” Just last week we announced our first “subscriber give-away” winner of the Raging Chicken Press “Must Read” of the month. The subscriber give-away will be a regular monthly feature (so subscribe!!!!). The December and January issues will feature several new contributors – both solicited and unsolicited which promises to further diversify the progressive voices we seek to amplify and support. The next big challenge ahead will be fundraising. We’ve been able to earn a little bit of money from our on-line store and from a few donations from supporters. Revenue from those sources will allow Raging Chicken Press to cover its web-hosting and domain name fees and purchase some equipment such as a tripod and USB drives. However, if we are going to take on all that we want to take on, we are going to need to raise money more aggressively. At this point, it is most likely that we are going to make a strong push in the beginning of 2012 through Kickstarter. 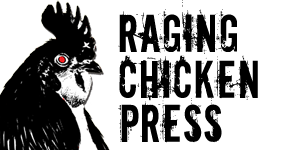 If we are able to raise the funds we need, we will be able to fund paid internships for the next couple of years, issue the first paperback edition of the “Best of Raging Chicken Press” in the summer of 2012, launch a small-scale progressive publishing house in cooperation with a local, union-shop printer, and begin to host monthly or bi-monthly progressive meet-ups to facilitate activist networking. 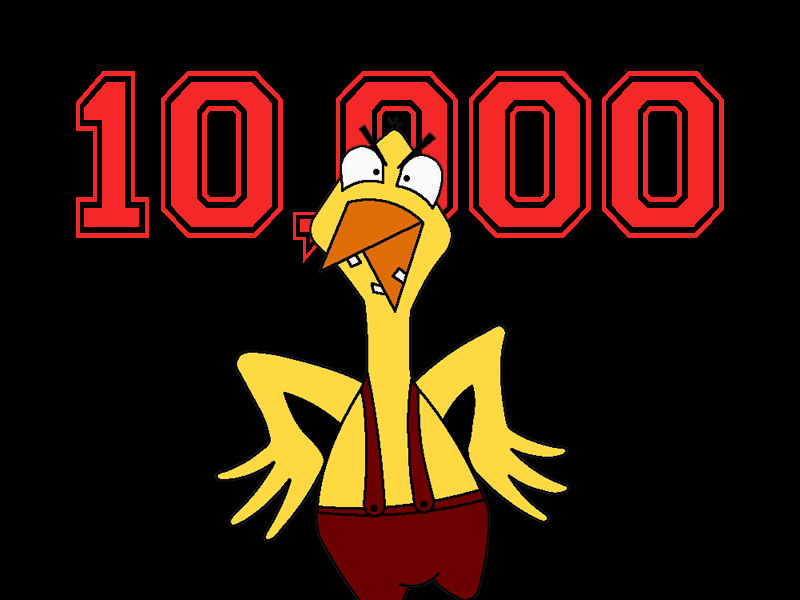 To think that just seven month ago Raging Chicken Press was simply a “cool idea” and now we have just crossed the 10,000 all-time viewer mark after only five issues is pretty remarkable. Once again, I want to thank everyone who has helped make this project possible…from our regular contributors, to our “Raging Chicken Army” who send out links to their networks when each issue is released, to the notes of support and critique we receive from readers. Raging Chicken Press is off to a blazing start thanks to you.